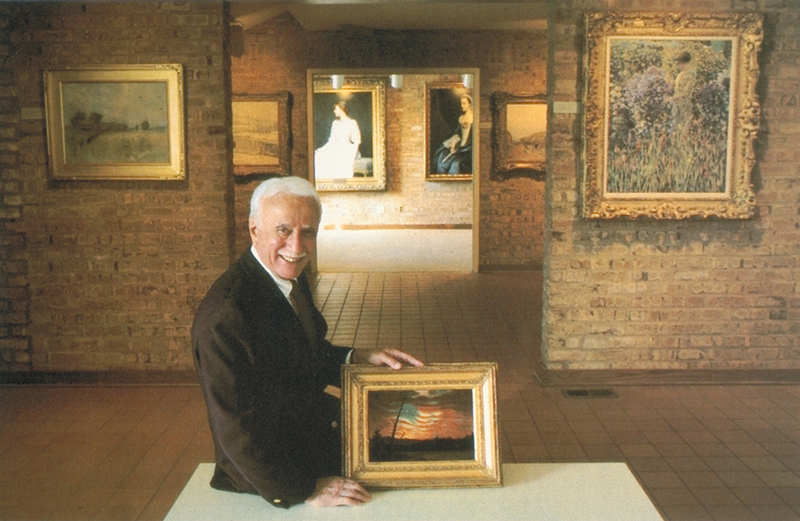 Daniel J. Terra with Frederic Edwin Church’s 1861 painting Our Banner in the Sky, at the original Terra Museum of American Art, in Evanston, IL. Charged by the Terra Foundation for the Arts with exhibiting and interpreting original works of American art, the museum opened to the public in 1980. During its tenure, the museum presented more than 200 exhibitions on American art and provided related programs and events for schoolchildren, teachers, families, general adult audiences, and scholars. After 24 years of operation, the Terra Museum of American Art closed on October 31, 2004. American Naive Paintings from the National Gallery of Art, Washington, D.C.
Art and Collaboration: Gemini G.E.L. Organized by the Mid-America Arts Alliance, Kansas City, Missouri (now Mid America Arts Alliance & Exhibits USA).